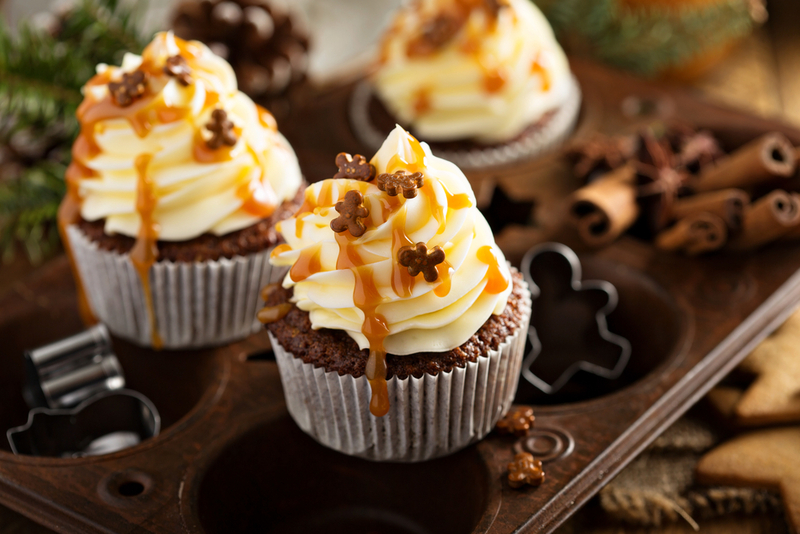 Process: Get your oven heating to 350F and put in some cupcake liners like these. Twist the Oreos to beak apart and put the side with the most cream, cream side up into the cupcake liner. Mix your cake and ingredients until smooth and out a spoonful until the liners are 3/4 full on top of the Oreo halves. Bake for 15-20 minutes or until done. For the frosting, put the candy canes in a blender or food processor and add in the other Oreo halves. You want this mixture to be really fine and smooth. 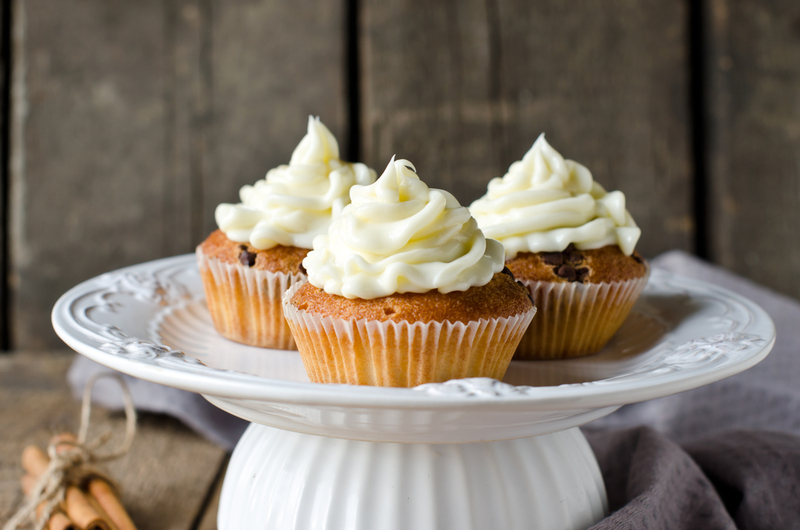 Beat the butter and cream cheese in a mixer until smooth, then add the sugar a cup at a time until you’ve got the right consistency. It should be smooth and able to stand on it’s own. 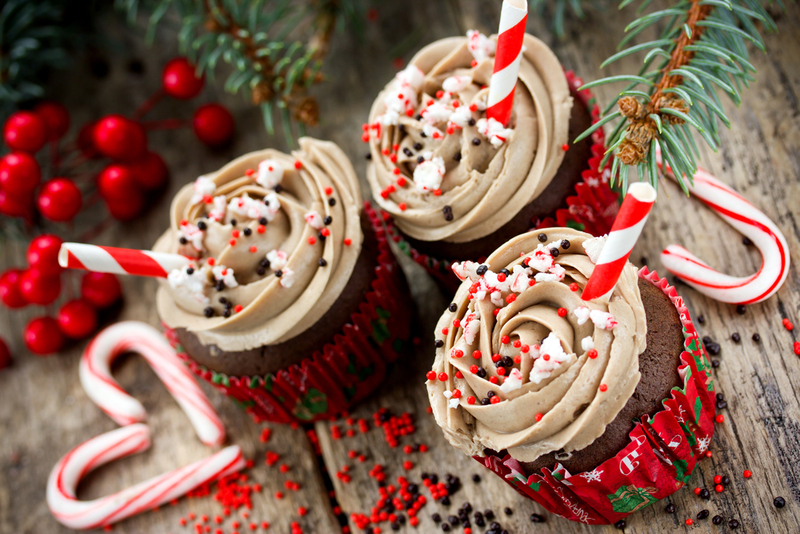 Fold in your crushed candy canes and Oreos, then pipe onto cooled cupcakes. Sprinkle on some candy cane pieces if you’re in the mood. 2 Tbsp butter, room temp. Process: Warm your oven to 350 F and line your muffin tin with liners (these are darling!) In a bowl, whisk the flour, pumpkin pie spice, baking powder, soda, and salt. In a separate bowl, mix your pumpkin, molasses, and vanilla. In your mixer bowl, beat the butter and sugar until nice and fluffy. Then reduce the speed and beat in the eggs. Cream until well mixed. Start adding in the pumpkin and flour mixtures alternating until it’s combined. Put 1/4 c. into each muffin tin and bake until done-25-30 minutes. Allow to cool completely. Then, using your mixer, beat the cream cheese and butter until nice and fluffy. Slowly add in the sugar and vanilla until light and peaky. Frost! 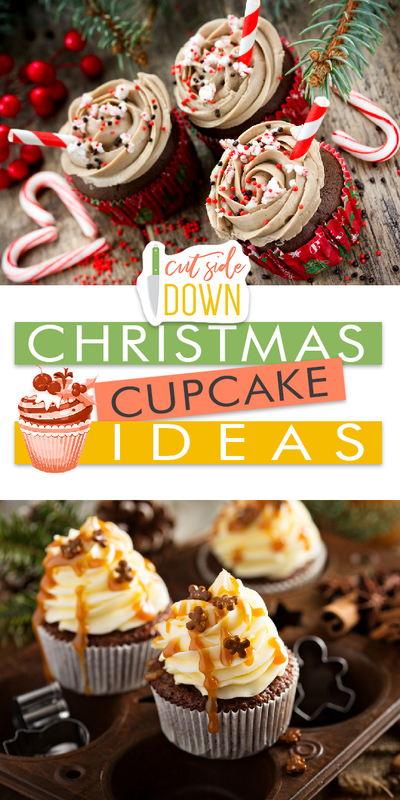 If you’re looking for something to dress up your already favorite cupcake recipe, then this is a great option! Process: Lay your pretzels on parchment paper. Melt your chocolate melts according to directions. Pour into a ziploc baggie and cut a tiny hole. Drizzle over pretzel rods in a tree shape, sprinkle with rounds and top with a star. Allow to set by putting in fridge or cool area for 15 minutes. 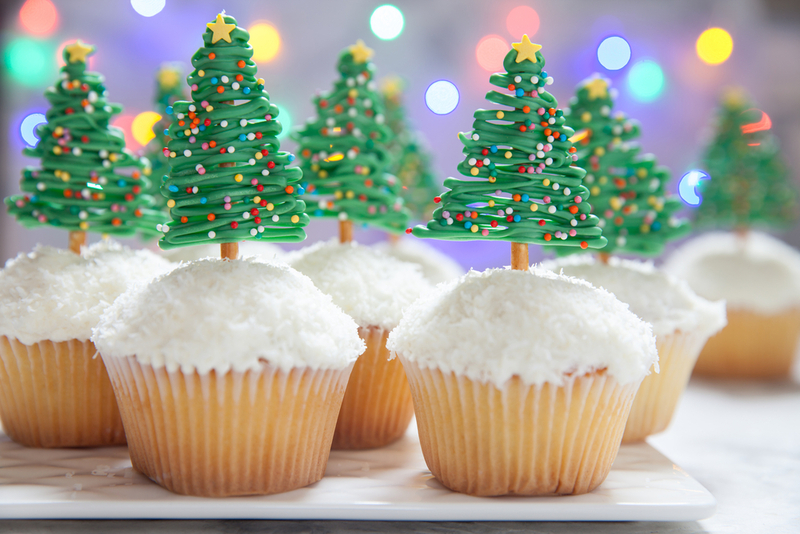 Put on your favorite cupcakes!